Mommy's Favorite Things: 40 Easy Slow Cooker Recipes! 40 Easy Slow Cooker Recipes! I'm always using my slow cooker. I like to use it in the winter to make hearty meals such as roast and soups, but I like to use it in the summer as a way to not heat up my house too much! 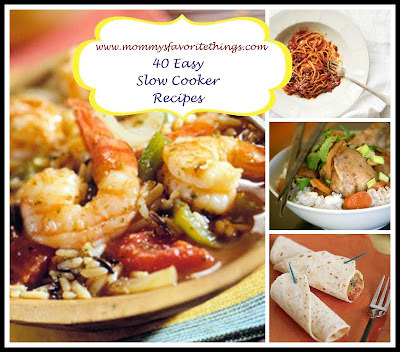 I'm in love with my slow cooker and you should be too! Thanks for the list of ideas! I could use some! I want to try the Quinoa Chicken Chili! I am always look to try new foods. Thank you Heather. I would love to make the Crockpot Ham!